Some organic molecules can be found in more than one crystal structure (polymorphs). The different polymorphs have different physical properties, and so there are major problems in quality control in the manufacture of any polymorphic organic material. For example, a polymorphic transformation changes the melting point of cocoa butter and hence the taste, the detonation sensitivity of explosives producing industrial accidents, and the solubility changing the effective dose of pharmaceuticals. Opportunities can occur for new and better products by controlling the production of the crystal structure with the optimal properties. However, polymorphism is currently viewed as a threat to organic materials industries and research, because of the problems caused if a new polymorph appears during scale up, manufacture or storage. If the new polymorph is more stable, experience shows that it can prove extremely difficult to continue to manufacture the original form. Current methods of searching for the low energy crystal structures of a molecule are limited in the types of molecule that can be studied. Such calculations usually predict more crystal structures as energetically feasible than there are known, or likely, polymorphs. We need new theories to determine which structures will actually be formed and likely phase transformations, so that we can predict which energetically possible structures are kinetically favoured and likely to be observed. 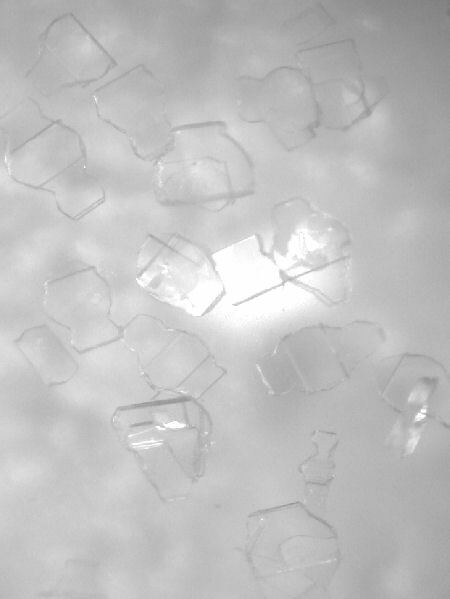 We need to characterise all the possible polymorphs of a wide range of molecules, both to test and develop the theories, and also to advance the techniques of polymorph screening. Please see the original outline proposal for further details.